Get 20% off your next purchase or renewal with LegacyAim, by using the coupon code "newforum" on checkout! Only available till Monday. Updated thread design with more information. We have a massive 50% off on all of our subscriptions. Simply use the coupon code "cybersale" to receive 50% off. If you are unsure how to use this coupon check this GIF here. Lasts till 01 December 2018. The cyber sale will last only two more hours! This is your last chance to get a massive 50% discount on all of our products. Use the coupon code "cybersale" on checkout. Our latest Legitbot update has been a hit with our customers! The csgo remastered product is coming along quite nicely. Any questions about our services please list em away! Category Enabled check boxes not working or saving. Features bug fix where the aimbot was not aiming at a target under specific circumstances. 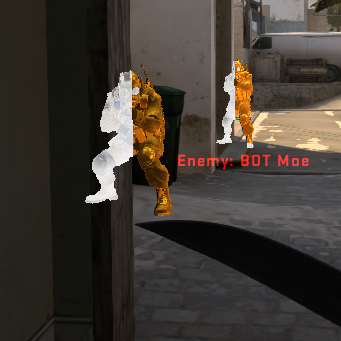 Features a target tracer that shows where the aimbot will aim before the hotkey is pressed. 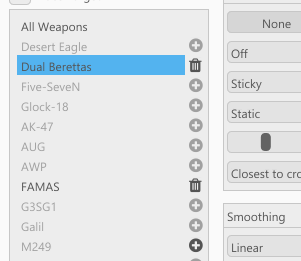 Features better weapon-specific setting system that doesn't overwrite settings when "All Weapons" is edited. Features a better visual hitbox selector. Used as a gauge to show how many bullets are left within the enemies' magazine. Armor and defuse kit icons. Did you know you can use the coupon code: "GOS30" for 30% off your first purchase? Now is your best chance to join legacyaim as all coupon codes will be removed next year! We are now working on adding our new and improved triggerbot to our remastered product. 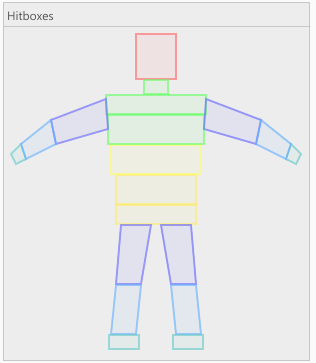 It is going to have our new hitbox selection system and some highly requested features. We are supporting dangerzone. This is something we have from the start, we was one of the first cheats to support this new game mode. We are releasing some important information on the 10th of January. Stay tuned for that! For those wondering, we are supporting the entire csgo game. Including dangerzone. So do not hesitate, as we have you covered! We have done some more changes to our remastered csgo product. If anyone is looking at purchasing LegacyAim please let me know if you have any questions. I have one space open for a trial if someone wants to give it a test run before purchasing. Stream proof chams has been completed. Unlike other providers our chams are done to the highest standard. We will release an announcement later in the weeks on why it's "high standard", giving direct comparisons to other providers. Look at the picture here. Check out our release notes and website by following this link. Huge announcement coming 10th of January 2019. You wouldn't want to miss this. Our cheat is now completely stream proof. We are using some of the most secure techniques to be secure, includes chams! You can use our stream proof chams right this second! Hope everyone had a good Christmas! Celebrate New Year and use the coupon code: "2019" for 20% off. New year starts at LegacyAim. Lasts till 01 January 2019. Still needing some final touches. Our remastered base gives us unlimited possibilities for more game cheats. We recommend you follow our forums and see what we have to offer on the 10th of January, it's going to be big! We are 3 days away from releasing our new announcement! Remember to check our forums on the 10th of January 2019! Going to be huge.